Please join us for the annual BRUNneighborhood meeting! Topics will include guests speakers, voting in new board members and more! 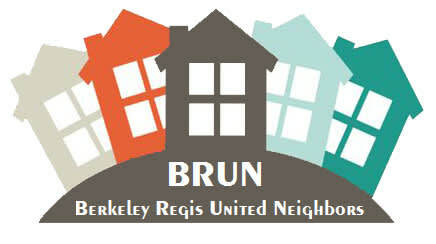 We are looking for BRUN neighbors to join the board! If you are passionate about our neighborhood and have time to give, please consider running for a board position. Doors will open at 6:30 pm- meeting starts at 7 pm! The BRUN Board (1) identifies and addresses issues that impact our neighborhoods, and (2) organizes and participates in activities that serve our community. Based on their own particular interests and/or expertise, individual Board Members contribute to achieving organizational goals as defined by the Board. In general, Board goals are achieved through the drive, skill, and persistence of our elected officers and through the work of individual committees. While committee membership is open anyone who lives within the boundaries of our RNO, officers and committee heads must be BRUN Board Members. Elected positions include president, vice president, treasurer, and the heads of these individual committees: communications, events, membership, zoning.